FEBRUARY 19, 2016 CELEBRATING THE 50TH ANNIVERSARY OF THE THAD JONES / MEL LEWIS ORCHESTRA'S OPENING NIGHT. VILLAGE VANGUARD ON FEBRUARY 8, 2016. 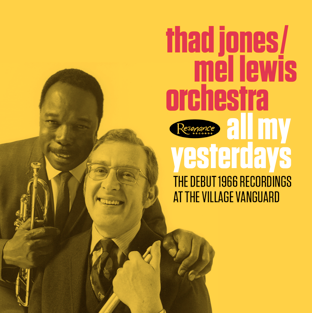 New York, January 21, 2016 - Resonance Records is proud to announce the release of Thad Jones/Mel Lewis Orchestra - All My Yesterdays: The Debut 1966 Recordings at the Village Vanguard. This first official release of these recordings capturing the Thad Jones/Mel Lewis Orchestra in their Opening Night performance at the legendary Village Vanguard in NYC on February 7, 1966, a performance that launched a tradition of successive Monday night appearances by the Thad Jones/Mel Lewis Orchestra that lasted twelve years and which continues today through the dedication of the band's musical heir, the Vanguard Jazz Orchestra. This combined fifty-year residency at the Village Vanguard will be celebrated by the release of this album. The album includes recordings from March 21, 1966, as well as those from opening night. These recordings will be released as a deluxe 2-CD set on February 19, 2016, within two weeks of the 50th Anniversary. This is the first official release of this material endorsed by the estates of Thad Jones, Mel Lewis and the Village Vanguard, since some of the recordings were unofficially exploited via a limited bootleg in 2000. This Resonance Records release includes the best takes from the February 7th and March 21st performances, many of which were not on the 2000 bootleg. Resonance Records, a multi-GRAMMY® Award winning label (most recently for John Coltraneʼs Offering: Live at Temple University for "Best Album Notes") prides itself in creating beautifully designed packaging to accompany previously unreleased recordings of music by jazz icons. Such is the case for All My Yesterdays. This release includes over 100 minutes of music, with a 92 page book, and is presented in a 6-panel, eco-friendly digi-pak. This package is one inch taller than a standard CD to present the 2 discs and book (extensive books have become a trademark of Resonance Recordsʼs historic releases: Wes Montgomery In the Beginning includes a 55 page book; the upcoming 2016 Larry Young release In Paris: The ORTF Recordings includes a 68 page book). The All My Yesterdays book will serve as new reference material for Thad Jones/Mel Lewis fans providing rare, previously unpublished photos, historic essays, interviews and memoirs. 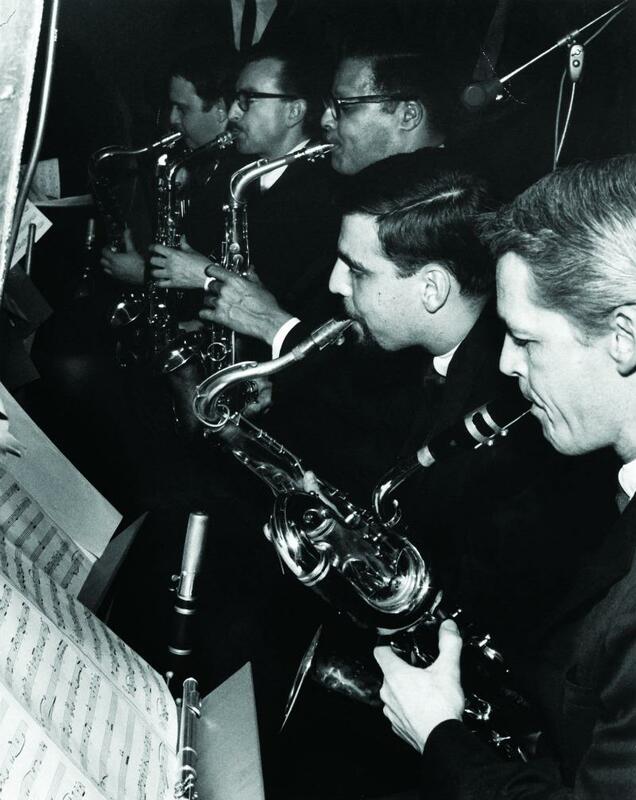 Contributors include executive producer George Klabin who recorded the original tapes, producer Zev Feldman, associate producer Chris Smith (author of The View from the Back of the Band: The Life and Music of Mel Lewis), longtime Vanguard Jazz Orchestra arranger and pianist Jim McNeely, and trombonist/educator and current member of the Vanguard Orchestra John Mosca. All of the living musicians who played on these recordings contributed to the notes, recounting their personal experiences of the Thad Jones / Mel Lewis Orchestra. Included are accounts from saxophonists Jerry Dodgion, Eddie Daniels and Marv "Doc" Holladay, trumpeter Jimmy Owens, trombonists Garnett Brown and Tom Macintosh, along with bassist Richard Davis. The pages display rare photos by Chuck Stewart, Raymond Ross, Ray Avery and Jan Persson. 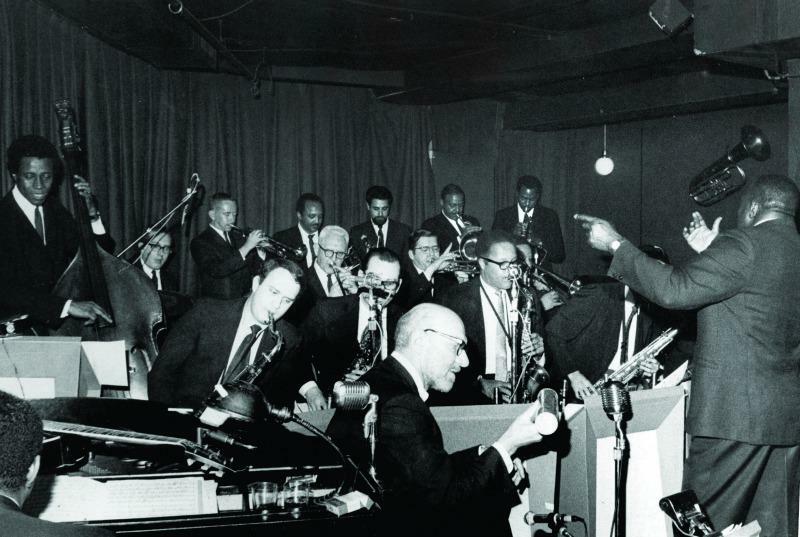 During the same year that Miles Davis and John Coltrane debuted at the Village Vanguard with their newly constituted small ensembles, in early 1966 Thad Jones and Mel Lewis made an important statement by creating a modern big band. Thad and Mel recruited a dream lineup of talented musicians including the late pianist Hank Jones, saxophonists Pepper Adams, Jerome Richardson, Joe Farrell and trombonist Bob Brookmeyer. During a time of social distress in the mid - 1960s, the ensemble also made a social statement due to its diverse mix of races, ages and religions. On a cold February evening in 1966, jazz fans lined up around the block waiting for the doors to open at the famed Greenwich Village club; a new big band formed by Thad Jones and Mel Lewis was about to perform. Max Gordon, founder of the Village Vanguard, invited the Thad Jones/Mel Lewis Orchestra to play that evening and for subsequent Monday nights. Inside the club was Resonance founder George Klabin, a 19 year-old self-taught sound engineer who had already established a reputation recording jazz music around New York City. Using a small cocktail table by the edge of the stage near the drums, he set up his 50-pound two track Crown tape machine and portable Ampex four-channel mixing board. He apportioned his six microphones among the various sections of the band (for the March 21, 1966 recording he used 10 microphones). Ahead of his time, Klabin captured astounding sound quality - he recorded directly to two-track, while mixing the sound live, adjusting the mic volume for each of the soloists on-the-fly. For this release, he transferred and re-mastered the audio using the original two-track tapes as the source. While a student at Columbia University, Klabin was head of the jazz department at WKCR-FM, the college radio station. His colleague Alan Grant, a jazz radio announcer, asked him if he would record this new big band during their fist gig at the Vanguard. Little did Klabin know that this group would become the renowned Thad Jones/Mel Lewis Orchestra who would perform every Monday night at the Village Vanguard for nearly 50 years under only three names: the Thad Jones/Mel Lewis Orchestra, the Mel Lewis Orchestra and the Vanguard Jazz Orchestra. As agreed, Klabinʼs recordings became a demo tape for the band, which secured them a record deal with Sonny Lesterʼs Solid State Records, in exchange for Klabin's being given free reign to play the recordings on his radio show on WKCR-FM. In his essay, Klabin recalls the magical feel of that evening in the packed, small club. He writes, "There is a palpable crackling energy in the room! This is the first time they have played this innovative stuff in public. Thad is the cheerleader, conducting, waving, shouting, clapping. You can hear it throughout the recordings. Itʼs really special!" One can hear this crackling energy in the room from the start. During the opening tune "Back Bone," a Thad Jones composition, players and audience members are clapping and shouting encouragement for each soloist. The recordings capture the atmosphere at the Vanguard without compromising the clarity of the music. One can hear people laughing and shouting as they listen to these innovative, cutting-edge arrangements and solos propelled by Mel Lewis's infectious, driving rhythmic force. The audience and musicians alike are electrified by the music of Thad Jones, who arranged and composed thirteen of the seventeen tunes heard on this album. "Big Dipper" opens with a trumpet and alto saxophone exchange featuring Jimmy Nottingham and Jerome Richardson. This trumpet-alto sax conversation is followed by a brief piano solo by Hank Jones, after which the band roars in. There is a dazzling freedom to this music; you can hear the excitement in the room, not just from the energy of the music, but from the audience's reaction to it. The same holds true for the ballads, which include "All My Yesterdays," "Lover Man" and "Willow Weep for Me." Recordings from both evening performances (February 7th and March 21st) all convey the ebullient energy Thad, Mel and the band were expressing and the audience was feeling. By the mid-ʻ60s, Thad Jones had established himself as a noted composer, conductor and a top jazz trumpet player. From 1954-1963, he performed with the Count Basie Orchestra as featured soloist, arranger and composer for the band. As Chris Smith describes in his essay, Thad had a unique, sophisticated writing style that is "never completely absorbed on first listen - or hundredth, for that matter. It takes mature ears and repetition to process Thadʼs unusual inner voices, unexpected rhythms and crunchy harmonies . . . Simply, he heard things in his head that our ears and brains are still trying to process 50 years later. That is an undeniable mark of genius and one that should be consistently mentioned among the ranks of other 20th century composers such as Ellington, Strayhorn and Gershwin." Thad Jones originally wrote many of the compositions and arrangements heard on All My Yesterdays for the Count Basie Orchestra, but for whatever reason, Basie didn't use them. 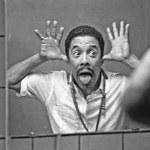 Thad left Basie in 1963 and became an in-demand studio musician in New York. But he'd always wanted the material he'd created for Basie to be performed, and not quite three years later, he used it as the foundation for the big band he formed with the celebrated big-band drummer - and his musical colleague - Mel Lewis. Toward the end of 1965, Thad joined forces with Mel to assemble a rehearsal band to perform Thad's charts for which they enlisted the top players currently working in New York. After a couple of months of midnight rehearsals at Phil Ramone's A & R studios, on February 7, 1966, they launched the Thad Jones/Mel Lewis Orchestra at the Village Vanguard in the performances on this album. Regarded as one of the finest big-band drummers of his generation, Mel Lewis developed his solid, bedrock big-band driving style with the bands of Stan Kenton, Terry Gibbs, and Bill Holman. He supported the rhythmic journey of Thadʼs compositions with precision and musicality while propelling the band with fire and energy. Together Mel Lewis and Thad Jones created an environment of innovation, as they explored new musical territories that paved the way for big band music to come. When All My Yesterdays producer, Zev Feldman, started working at Resonance Records in 2009, he learned about the existence of these Thad Jones/Mel Lewis recordings that label president, George Klabin made as a teenager. A fan of the band since his college days, Feldman was determined to produce an official release of this music in an expanded edition to honor the 50th Anniversary. He always felt it was unfortunate that in the 2000 bootleg release, many of the musicians were not credited and no one received compensation. It's been a long journey for Resonance to negotiate agreements with the families and estates of Thad Jones and Mel Lewis and to secure clearances from all living members of the orchestra and the heirs of those who had passed away. Resonance is pleased to release this music officially with blessings from all those involved in the recordings. Feldman beams with excitement: "This is one of the most important large music ensembles to ever record jazz. Some of the greatest players from the New York jazz scene in the 1960s come out of that band. You can feel the excitement - these recordings capture a special energy. Since I started working at Resonance, this has been one of the albums that Iʼve been most excited to release. Itʼs also special and personal to George Klabin, so we all wanted to go above and beyond for this project." 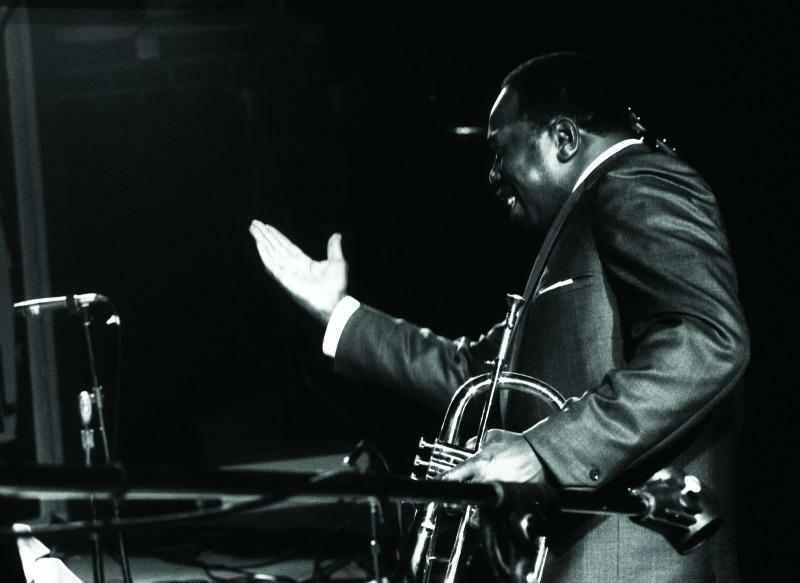 To engross oneself fully in the musical experience of the Thad Jones/Mel Lewis Orchestraʼs All My Yesterdays, George Klabin suggests, "Put on a pair of good stereo headphones and immerse yourself in the atmosphere of those two nights. You will hear all the subtleties: Thadʼs shouts, the room sound, the musicians' camaraderie, encouraging each other and most of all the pure joy! Now you can be there, too." Fifty years later on Monday, February 8, 2016, the Village Vanguard along with Resonance Records, will commemorate this golden anniversary with a CD release celebration. On this evening, the Vanguard Jazz Orchestra will perform compositions from All My Yesterdays to celebrate opening night back in 1966. Although they normally play this material weekly, this evening will serve as a special tribute. Orchestra leaders John Mosca, Douglas Purviance and the Village Vanguardʼs Lorraine Gordon have joined together with Resonance to celebrate this milestone in American jazz history. This looks fantastic... can't wait! I'm definitely in for this one. Nice supplement to the Mosaic set ! Excellent. Added to the "buy" list. Now "pre-ordered." To heck with waiting for Spotify. This one goes on the shelf. Really looking forward to it. It will be good to get an official copy of this, especially since the (unknown at the time) bootleg Alan Grant sold me back in 2000 stopped playing completely through without skipping many years ago. It turned out to be a CD-R. The first CD-R I ever had fail on me (I've had several more since). 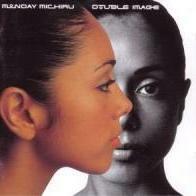 I really like the cover photo. The musical content is identical to the Grant thing? Will wait for reviews on the sound quality. If that's good, I'm in. These two sessions were very well recorded and should sound great since this set is coming from the recording engineer's master tapes. The recording engineer runs Resonance Records (the label releasing this music). The Getz releases look good as well! $37 Cdn$ at amazon.ca + free shipping. Much better. The Grant thing only gives the first of the two dates, but the selections might match what's a mix of both on the new set ... but I guess we'll only know for sure when we can hear it. Looking forward to this very, very much! I don't have the Grant, so I preordered this one. These new releases will be available as HR downloads as well. I may go that way. Actually the February 8th event will be the last night of our eight-night engagement celebrating the band's 50th anniversary, February 1-8. I received my copy yesterday. I noticed right away that the size of the package is identical to that of last year's Erroll Garner Concert by the Sea release. I'm guessing that this is the new industry standard for multi-disk sets. Has anyone read anything about that? Looks great, I will pick this one up. I guess the Larry Young is in a strange package too? We'll see when it arrives from the UK. Tomorrow is the 50th anniversary, so I have decided to wait till then to open it up. As promised, I opened up Disc One yesterday. To be honest, I didn't like the first couple of songs because of the dissonant harmonies and solos. But the band started swinging before long, and it turned out to be a great set! I think more memorable to me than the music is the feeling of hearing a historic event. Disc Two is the 3/21/66 set, so I will probably wait till March 21 to open it up. Just got a copy of this last night (at an event for the new Larry Young in Paris set), and what I heard briefly this morning as I was getting ready for work sounded great! Hope to spend some more time with this over the weekend. There are some other minor things. although generally the sound is better in the Resonance (fuller, better mixed). Nothing's lost if you don't have the Grant, IMHO, except for Thad Jones's solo on "Willow..." which I prefer over the one on the Resonance.